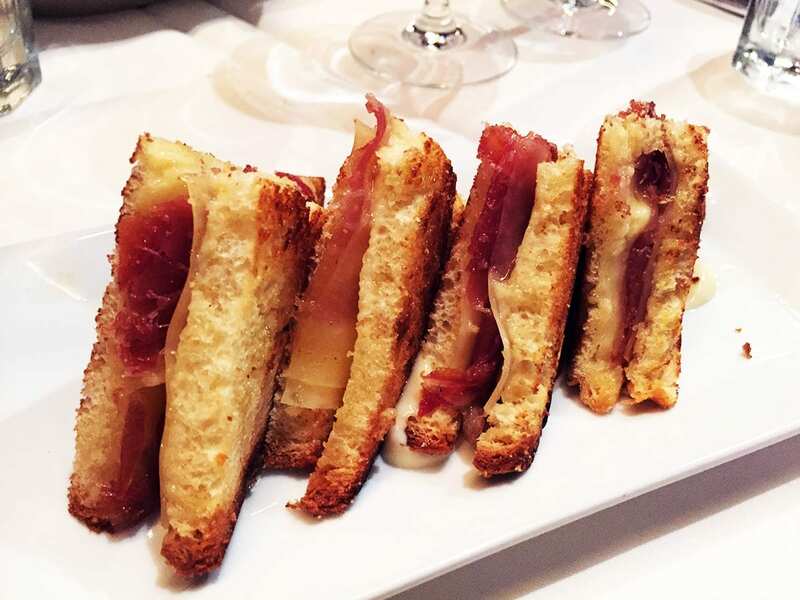 Whole new take on grilled cheese with Truffled Bikini Sandwich from Barcelona Wine Bar a new Spanish tapas place in Reston, Virginia on DC’s Silver Metro Line. 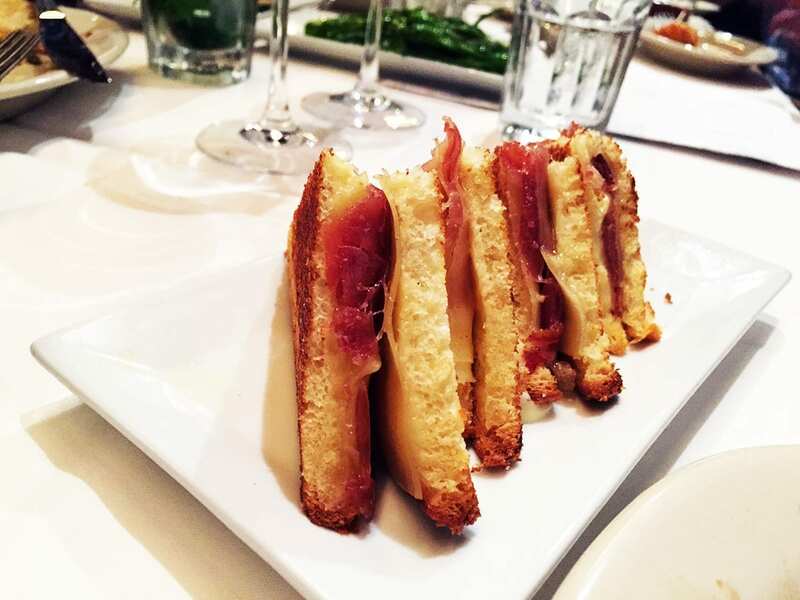 One of the great things about tapas is that you can try many different things so we were very happy to try these tiny sandwich triangles. As soon as they brought them out all warm you can just smell the ham and grilled bread. 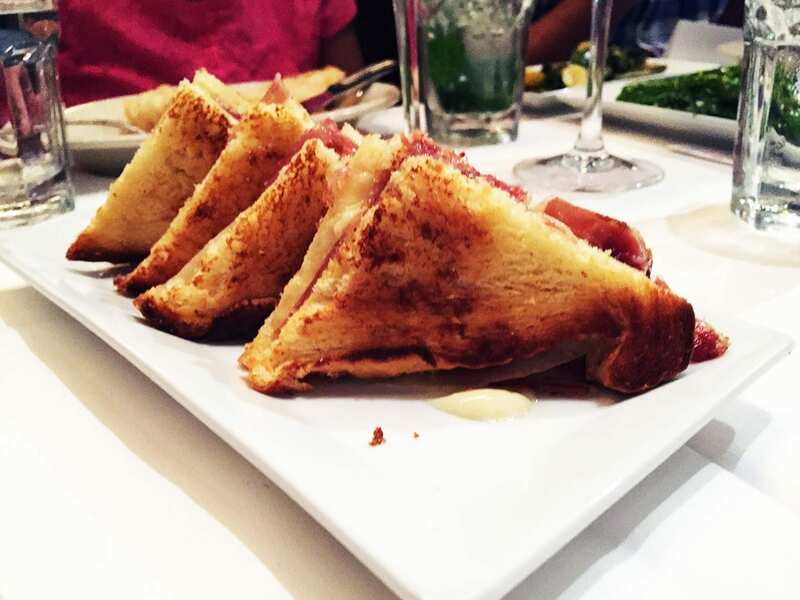 It’s like an advanced version of-of grilled cheese sandwich with a high-end restaurant preparation touch. Biting into it was a pure joy with a nice large crunch and thick layers of ham. Its really all about that ham goodness when it comes to this sandwich. Taste so good that we can enjoy it every day. The flavor makes up for the fact it’s just too small, but smaller means we can enjoy other great dishes from one of the best tapas places in town.